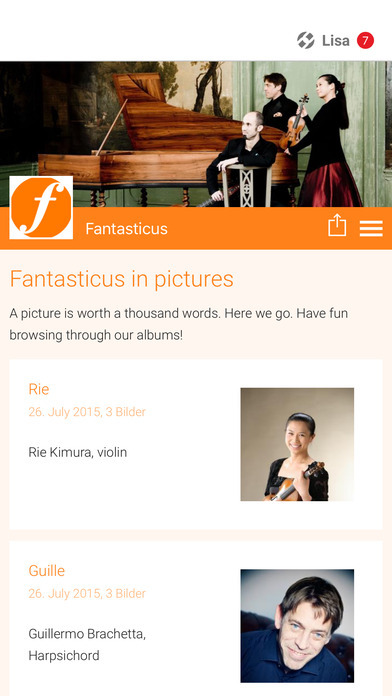 Fantasticus stands for intense expression and an affinity with bold, extravagant music. Its core inspiration is drawn from the stylus fantasticus of the late 17th century. This was “a free and unrestrained method of composing”, in effect the liberation of instruments from the dominance of vocal music. Fantasticus enchants its audiences with the unsurpassed wonder and energy from that time. Adventure and discovery were the spirit of the age and pervade every performance and programme of Fantasticus. This unique inspiration and an ensemble “in thrilling harmony with itself” is the secret of Fantasticus’ rare communicative power. Fantasticus plays on historical instruments and is known for its unusually interesting programmes of 17th and 18th century music.